for cleaning Patios & Decking areas. 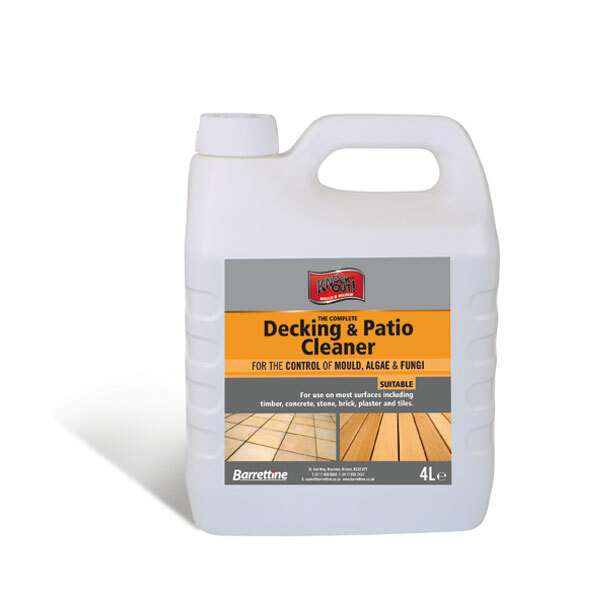 Kills unsightly Mould, Fungi and Algae from Decking and Patios, whilst cleaning general dirt and grime from the surface. Ready to use.